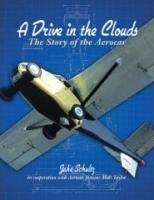 The Aerocar, developed by aviation pioneer Molt Taylor, is the basis of this interesting book. The author does a superb job in describing the origins, development, and challenges of this unique aircraft. The chapters are concise, easy to read, well illustrated and contain enough technical information to satisfy most aviation enthusiasts. A chapter is devoted to Ford Motor Company and their initial interest in the concept, followed by their abandoning of the project. Another chapter deals with other interesting airplane concepts including designs by Piasecki, Zuck, Hall, Fulton, Pitcairn, and Waterman. There is a keyword index and a very interesting timeline graph showing the careers of five Aerocars and their eventual disposition. For those interested in unique aircraft of the 1940s and later this publication is certainly recommended as a welcome addition to your library.